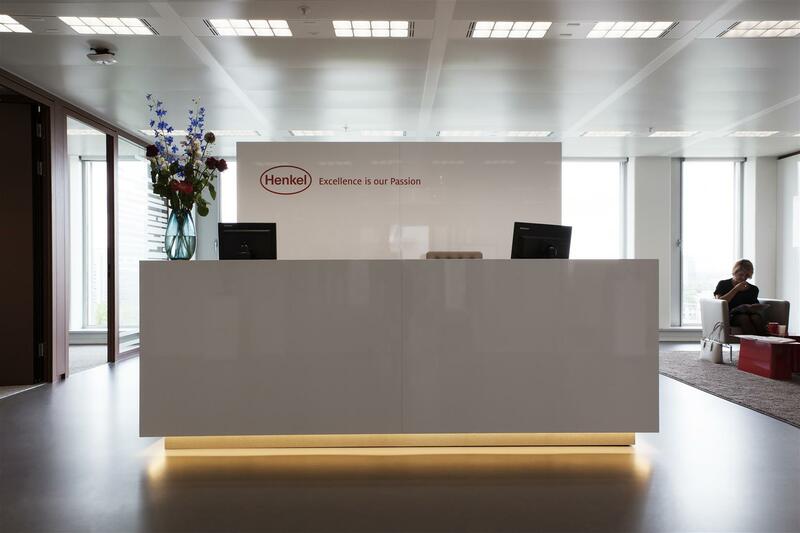 Henkel, a company that operates worldwide with leading brands and technologies, selected Tetris to fit-out and construct their new office in Amsterdam. 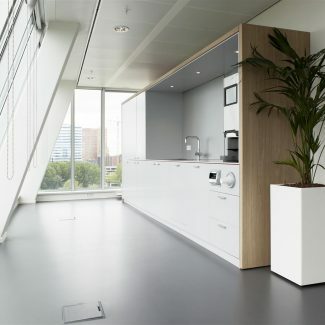 The office, that is split in to two floors, has a very high finishing standard. 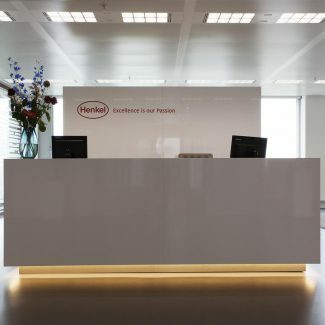 The pantry, the reception desk, copy corners and wooden lamella were all specially designed and constructed for Henkel. 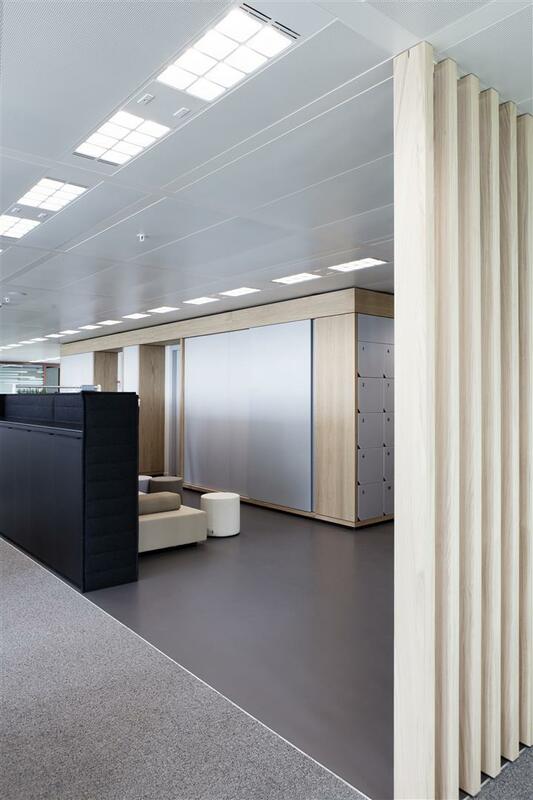 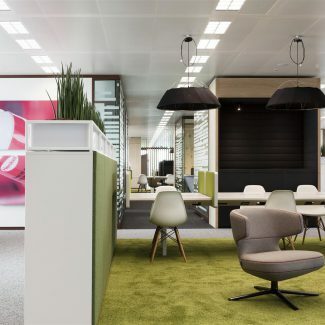 Together with Fokkema & Partners, who designed the office on behalf of Tétris, we created a spacious and warm office for Henkel with enough room to socialize and meet with colleagues and clients. 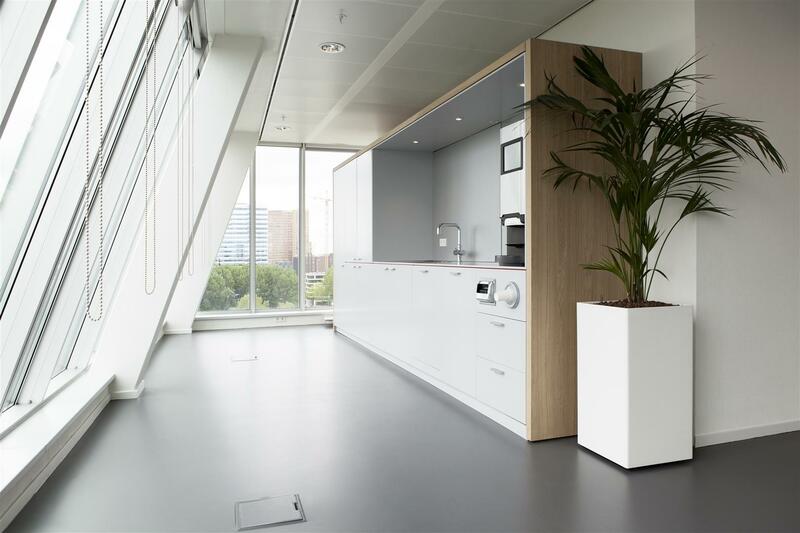 The new office of Henkel is situated in The Edge in Amsterdam which is the most sustainable office building in the world. 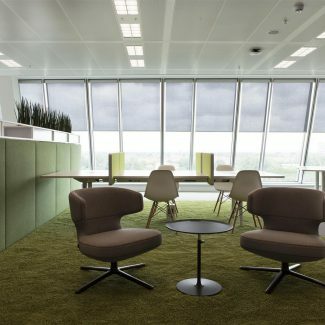 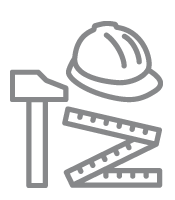 The Edge has a BREEAM Outstanding Certificate, that means that all the offices in the building need to be designed and build by those standards and requirements as well. 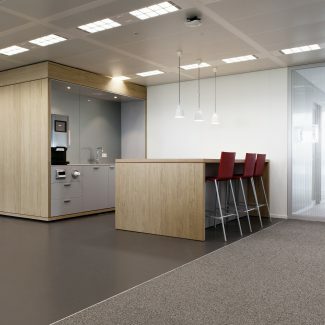 We have finished this 2800 sq. 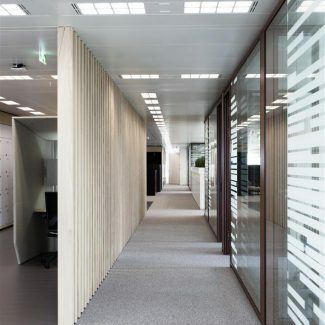 m project within budget and within the time schedule we anticipated. 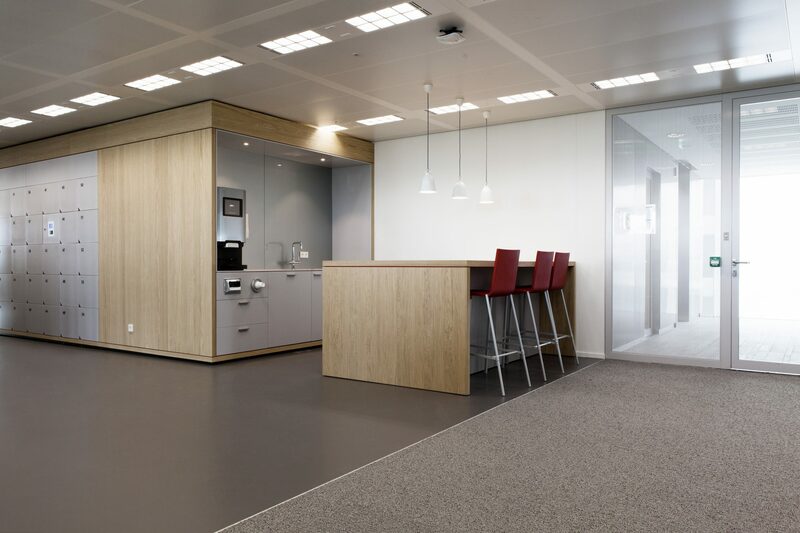 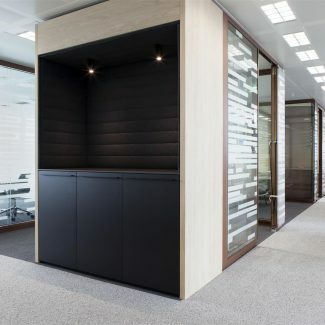 Tétris renovated Whirlpool’s new office using existing materials as much as possible. 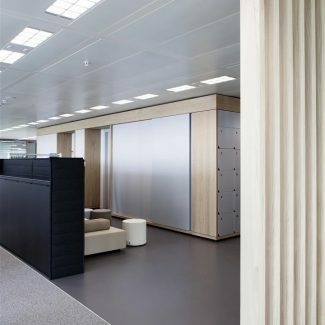 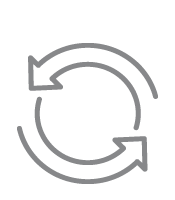 In doing so, the project’s carbon footprint was kept to a minimum. 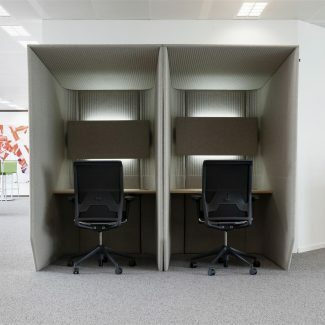 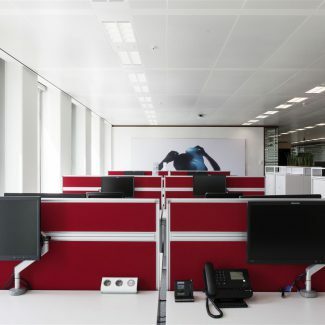 Tétris designed and built a fresh and spacious work location where two floors are connected in a striking and effective way. 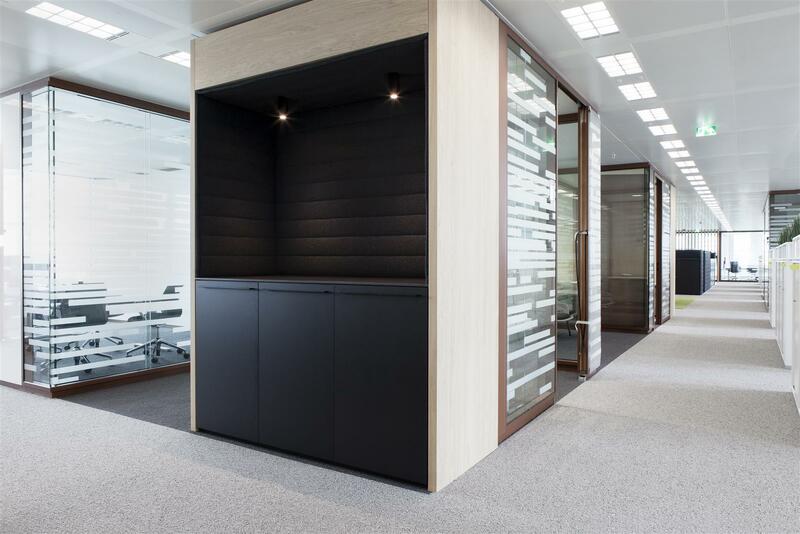 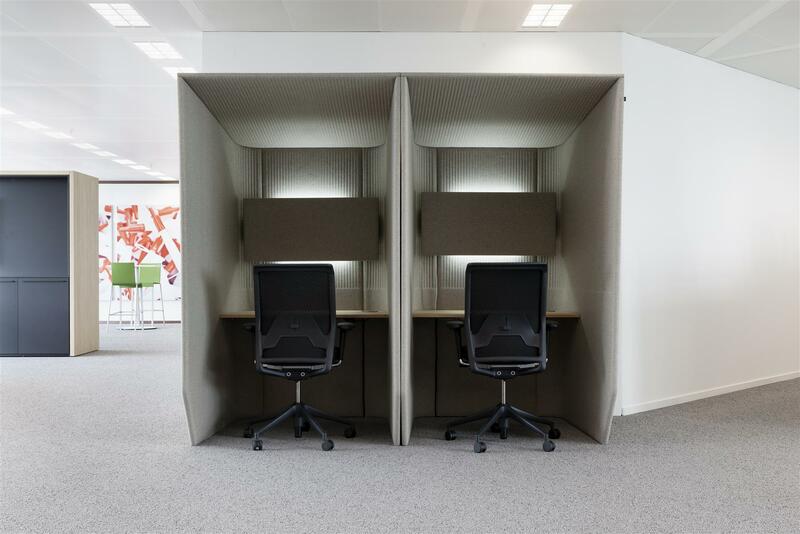 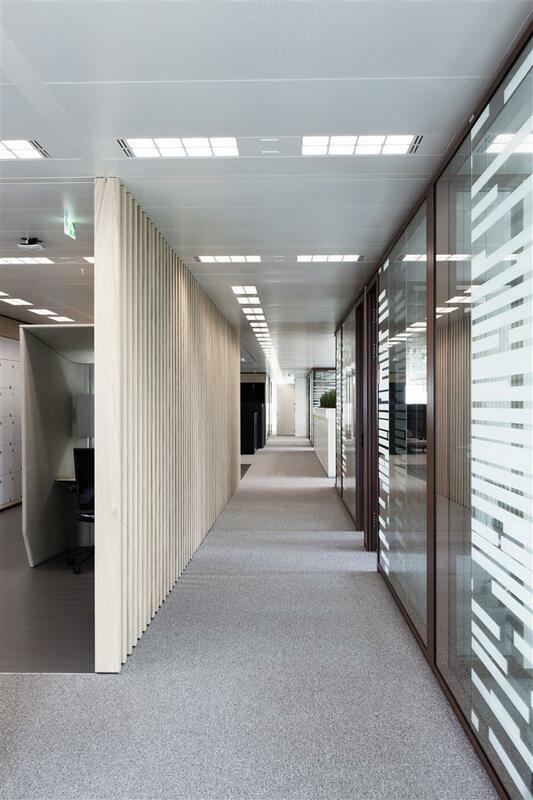 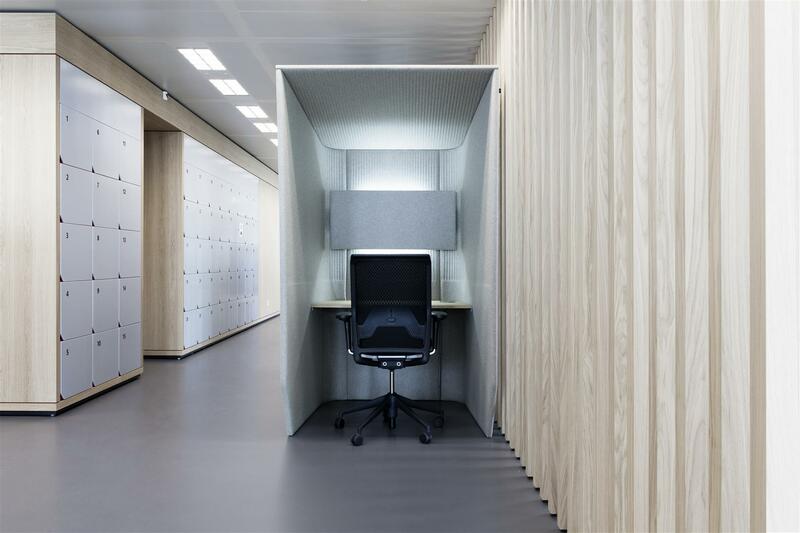 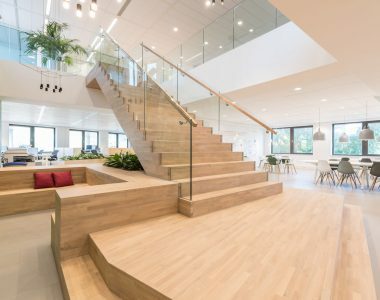 Tétris did the engeneer & build project for the new office of an international company in Amsterdam. 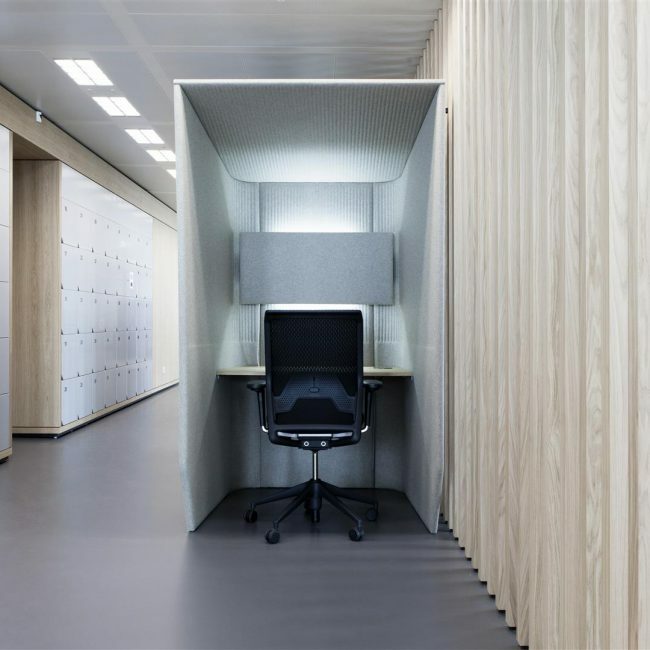 Tétris built the third location of the in Europe fast growing company WeWork, who focusses on flex-working. 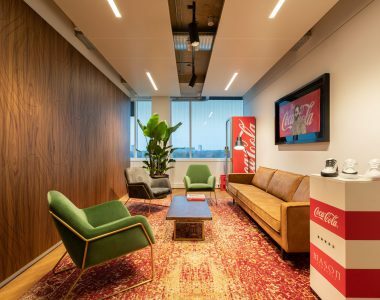 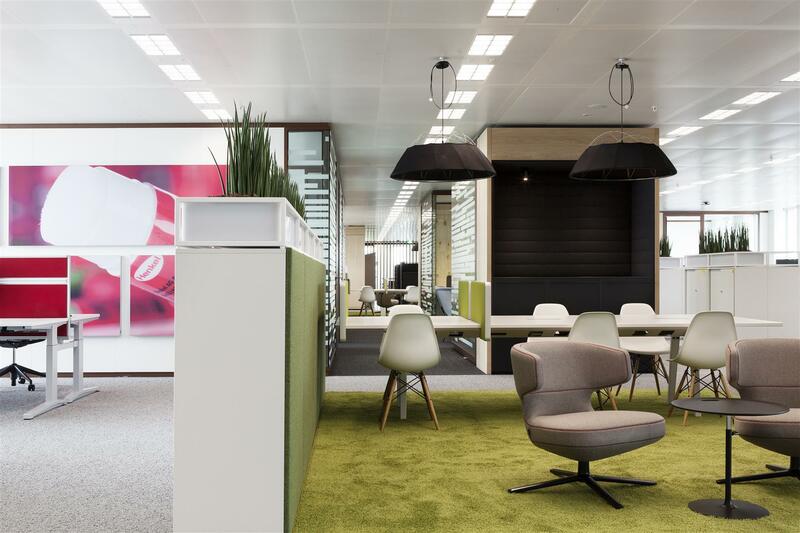 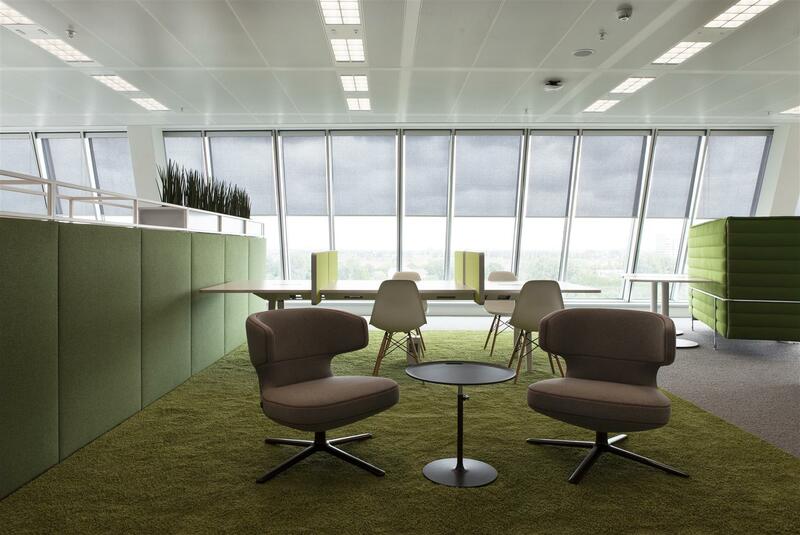 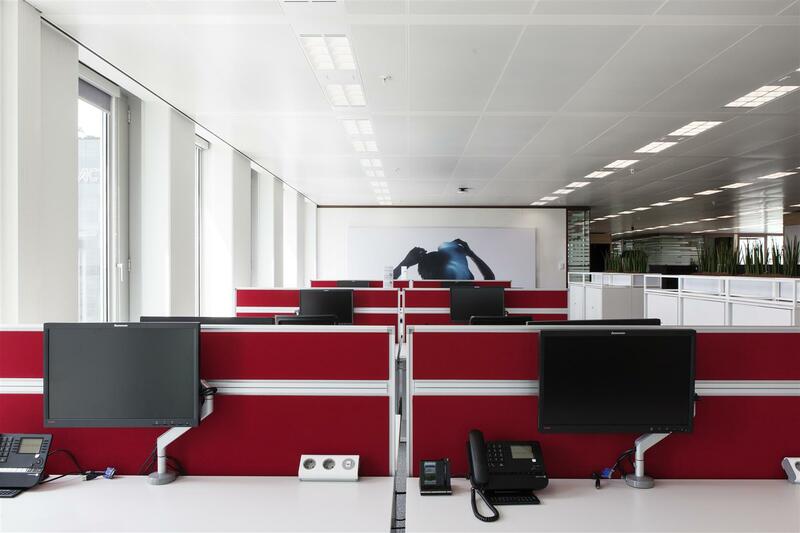 Tétris Design & Build realised the complete fit-out for the new office of Coca Cola The Netherlands and European Partners in Rotterdam. 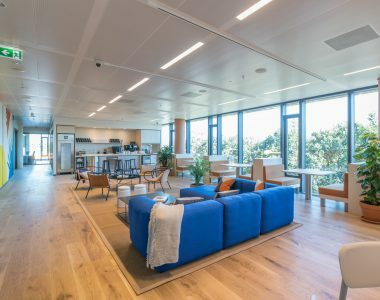 Tétris has built the new Coolblue service center. 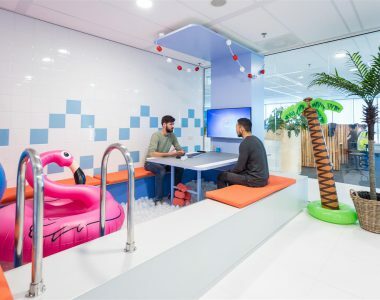 Together with Coolblue we have done everything to put a smile on the faces of the employees. 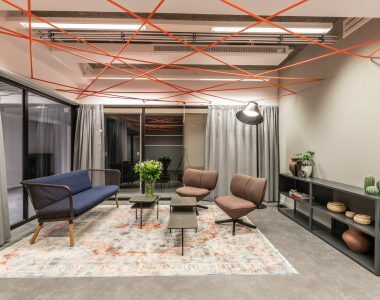 Finnius grew out of their old office and had to move to a new space. 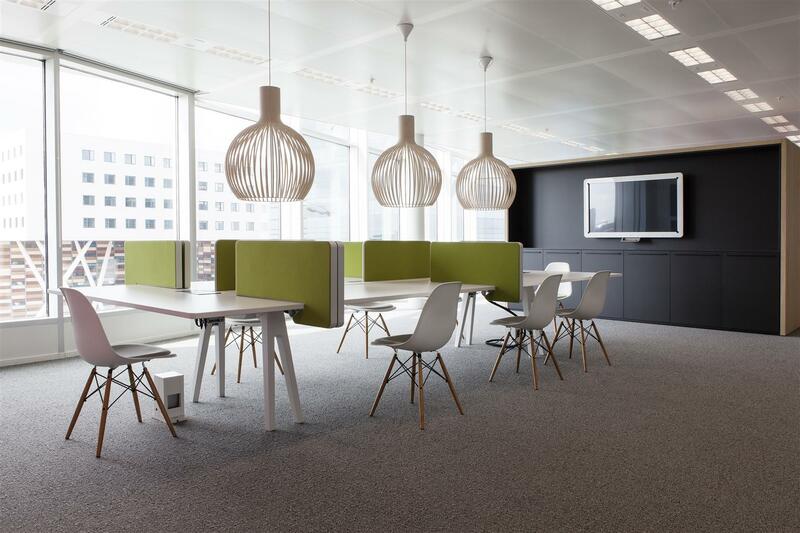 They chose Tétris to design and realize their new office. 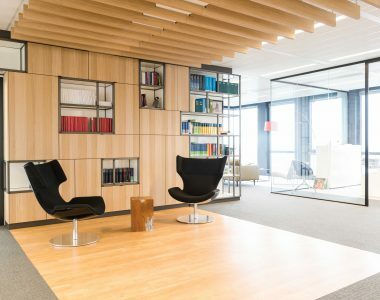 For the expansion of their office bol.com has asked for the expertise of Tétris.